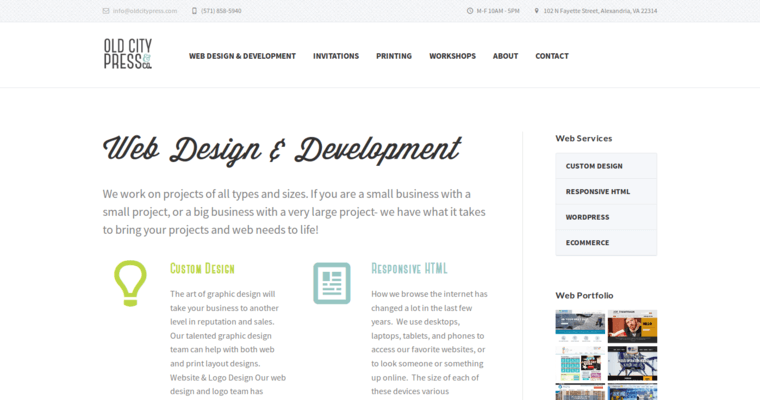 Old City Press is a corporate web design firm that is established in Alexandria, Virginia. The company maintains accounts on Facebook, Twitter, Google +, Pinterest, Instagram, and Youtube. 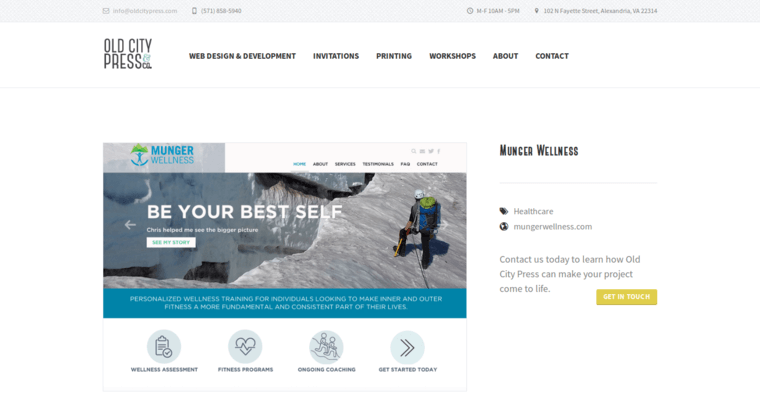 Old City Press is distinguished as one of the best corporate web design firms on the east coast of the United States. 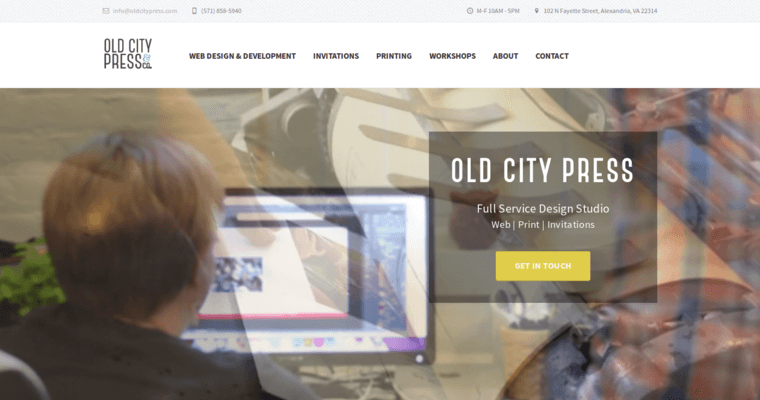 Old City Press’ strong points includes lending their clients support with wordpress, web design, logo design, invitation design, e commerce, custom branding, custom design, pre designs, custom identity, web development, responsive html, and printing. Old City Press’ clientele is made up of Benjamin L. England, Aspen Security Forum, Academic Travel Abroad, Rugs Direct, Crawford Public Relations, Lemay, Ericsson, & Wilcox Architects, Run Stroller Run, Hire Channel, Innovating and Pioneering, American Bird Conservancy, Holistic Touch, Music Diary, Construction Insight, Inc., Millennium Corporation, Precision Calibration Systems, What's Landscaping, Analytica, McBarron Capital LLC, Acoustical Solutions, the Hire Channel, Woman One, and Saurbier Law Firm.